There was a time in Africa the people could fly. Mauma told me this one night when I was ten years old. She said, "Handful, your granny-mauma saw it for herself. She say they flew over trees and clouds. She say they flew like blackbirds. When we came here, we left that magic behind." My mauma was shrewd. She didn't get any reading and writing like me. Everything she knew came from living on the scarce side of mercy. She looked at my face, how it flowed with sorrow and doubt, and she said, "You don't believe me? Where you think these shoulder blades of yours come from, girl?" Those skinny bones stuck out from my back like nubs. She patted them and said, "This all what left of your wings. They nothing but these flat bones now, but one day you gon get 'em back." The relationships between the characters in The Invention of Wings and their struggles – both real and imagined – bring a deeply polarized time in American history vividly to life. 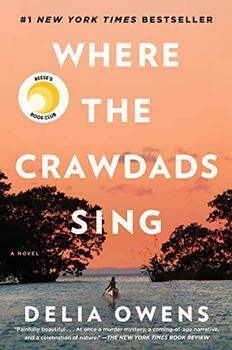 This is a page-turning narrative, with intricate plot twists, by a truly riveting storyteller. (Reviewed by Judi Sauerbrey). The book's scope of 30-plus years contributes to a feeling of plodding in the middle section...But Kidd rewards the patient reader. Starred Review. Inspired by the true story of early-nineteenth-century abolitionist and suffragist Sarah Grimké, Kidd paints a moving portrait of two women inextricably linked by the horrors of slavery. Starred Review. This richly imagined narrative brings both black history and women's history to life with an unsentimental story of two women who became sisters under the skin - Handful, a slave in body whose mind roves freely and widely, and "owner" Sarah, whose mind is shackled by family and society. Starred Review. Kidd's portrait of white slave-owning Southerners is all the more harrowing for showing them as morally complicated, while she gives Handful the dignity of being not simply a victim, but a strong, imperfect woman. Among the many unifying symbols in all the intertwining relationships that course through The Invention of Wings, one of the most important concerns is not another person but a quilt. "This a story quilt," Mauma Charlotte tells her daughter Handful. "My mauma made one and her mauma before her. All my kin in Africa...kept their history on a quilt." Later, as Handful stitches the appliquéd squares together, she begins to understand just how much of her mother  her earlier life in Africa, her experiences with slavery  is in the quilt. "Mauma had sewed where she came from, who she was, what she loved, the things she suffered, and the things she'd hoped. She'd found a way to tell it." 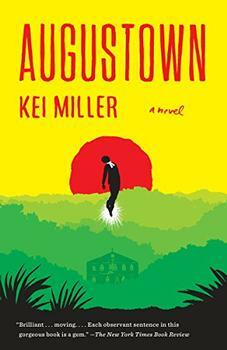 In the wake of Marlon James's Man Booker Prizewinning A Brief History of Seven Killings, Augustown - set in the backlands of Jamaica - is a magical and haunting novel of one woman's struggle to rise above the brutal vicissitudes of history, race, class, collective memory, violence, and myth.